Detail of a door near last week's doorway. Beautiful Door picture. Do you know what kind of wood is used? My wild guess is that it is done in Teak Wood. 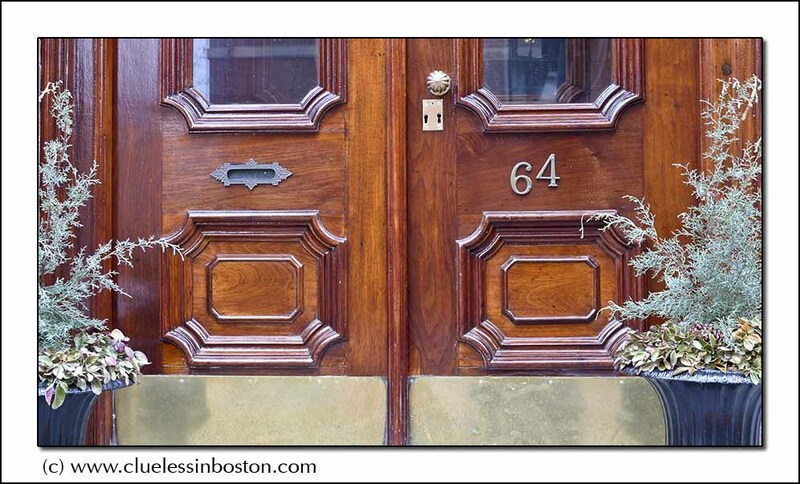 The balance of placement of door number, panels, mail slot is charming. The door is wonderful, but I would immediately level the street numbers. Very elegant and charming door.